Audio Assault included FreaQ in our June 2016 goody bag. 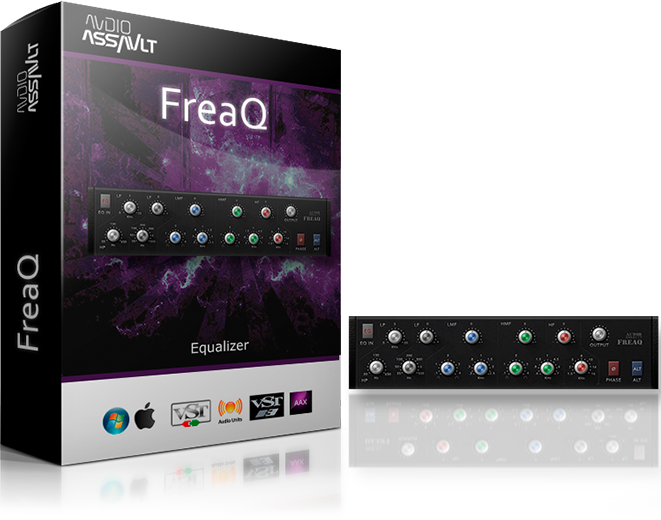 FreaQ by Audio Assault is a uniquely designed analogue mixing desk style equalizer. Featuring super smooth analogue low and high shelf filters, 2 fully parametric bell filters and 2 adjustable low pass / high pass filters, FreaQ has everything you need to shape your instruments the way you want them.